She is interested in researching technology and society relationships. Is currently researching on the use of the Internet among older women in Uruguay as PhD candidate at the Internet Interdisciplinary Institute of the Universitat Oberta de Catalunya. She has a degree on Social Communication (Universidad Católica del Uruguay) and a Master Degree of Research in Sociology (Universidad de Barcelona, Erasmus Mundus 17 Scholarship). 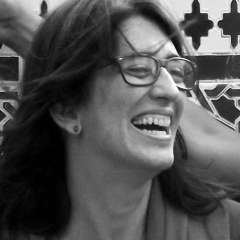 She is Assistant Professor (G1) at the Information and Communication Faculty (Universidad de la República) and pre doc member of the Ageing + Communication +Technologies Network.